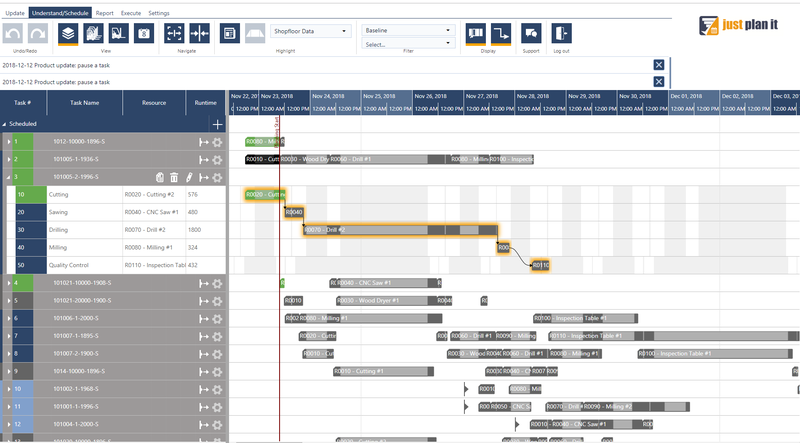 For our manufacturing end customers (especially, for small and mid sized production companies) we often develop visual scheduling applications that are exactly tailored to the individual and specific production planning requirements. 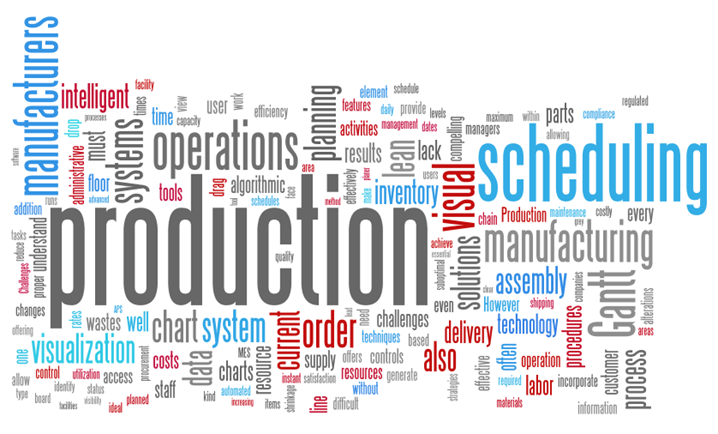 When specifying these requirements, we very often realize that a great deal of added value is created by linking operative production planning to the real-time events on the shop-floor. In other words: by equipping dynamic planning with dynamic updating, such as a GPS for cars that informs us about the distance to move and the expected arrival time. We call this the synchronous scheduling Gantt chart. 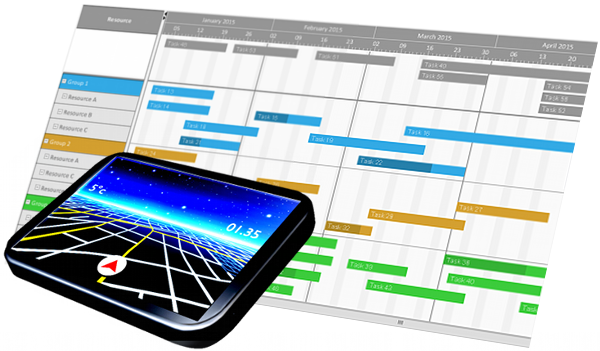 This blog post gives you an idea about the principle of a synchronous Gantt diagram that could be compared to a GPS for production planning. Modern manufacturing companies must manage, coordinate, and synchronize numerous activities to perform operations successfully in today’s competitive global marketplace. 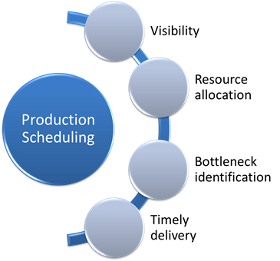 The scheduling challenges that they face make it extremely difficult for even advanced algorithmic based systems to actually meet and solve every situation that can affect the throughput rates, supply chain maintenance, and quality control procedures which are required for ideal efficiency and maximum profitability. To remain profitable and ensure company sustainability despite constant fluctuations in today’s global marketplace, discrete manufacturers and distributors must constantly strive to improve efficiency in every area of operation, applying lean strategies through the introduction of innovative procedural tools. 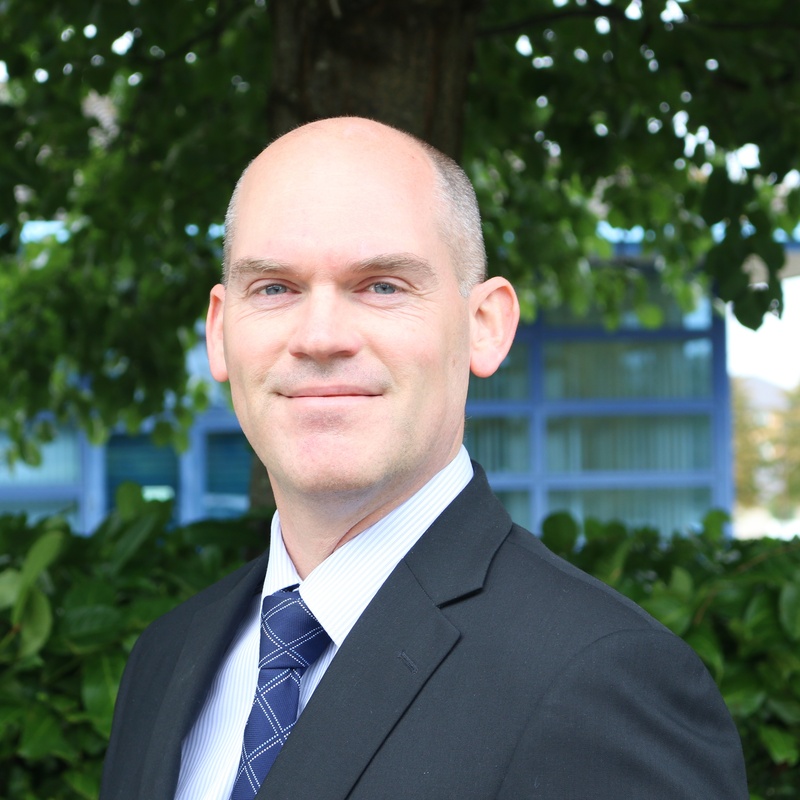 Yet production and logistic administrators understand that even the most advanced ERP, MES, MRP or APS systems lack the ability to prevent the occasional supply chain snafu, and resist short term changes to algorithmic scheduling that are sometimes necessary to achieve precision performance.